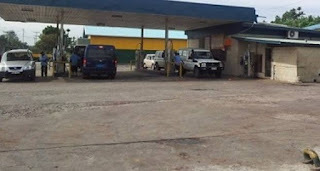 Commuters may be forced to pay more, following the increase in fuel prices across Papua New Guiena. Kimbe Auto Port Manager, Sebastian Sapau, said this when announcing that the duty diesel rate has now increased and is effective as of yesterday, January 2nd. Mr Sapau said, fuel depots all over the country were advised of the changes, which will see diesel increase from 10t to 23t per liter. He said as a retailer he is affected by the higher prices of fuel, which will see him pass the increase to PMV owners, who will definitely charge new PMV fares. Mr Sapau says that both the PMV owners and other motorists will feel the pinch of the increase. He says it is better for all PMV's to hold a meeting to decide on a fixed rate rather than imposing different fares. The new price for diesel is now at K3.04 per litre, when it was previously at K2.60. The prices of kerosene, petrol and zoom remains the same price.